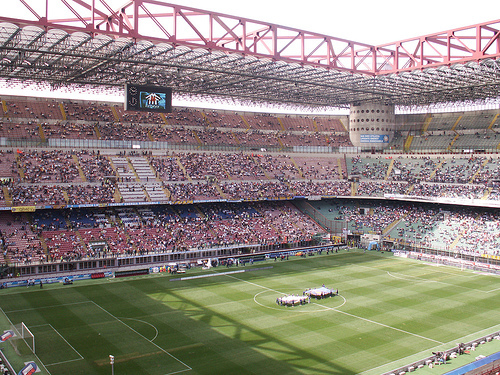 Mon, 6 May 2019, San Siro Meazza. * The final match date and kick-off time is confirmed 5-30 days prior to the match day. If in doubt please check the official club website. * Changes within above date frames are beyond our control and we ask that you are aware of this when making your travel plans! * You will NEVER get any single seats. You will always get seats next to your friends, right in front or right behind your friends. This is our guarantee from us to you! * When you have completed your booking a booking confirmation/receipt and your e-tickets will be send to your e-mail address immediately. * All information regarding collection or delivery of your original match tickets will be clearly stated on your e-ticket. * When collecting the tickets you must show a valid photo ID and proof of purchase by bringing the credit card you used when booking the tickets. * We highly recommend that you carefully read our terms and conditions for booking football tickets! 1st ring ORANGE : Longside of the soccer pitch. Tickets Lower half, in Orange section. 2nd ring ORANGE or RED : Longside of the soccer pitch. Tickets Upper half, in Orange or Red section. 3rd ring RED : Longside of the soccer pitch. Tickets Upper half, in Red section. 3rd ring BLUE or GREEN : Shortside of the soccer pitch. 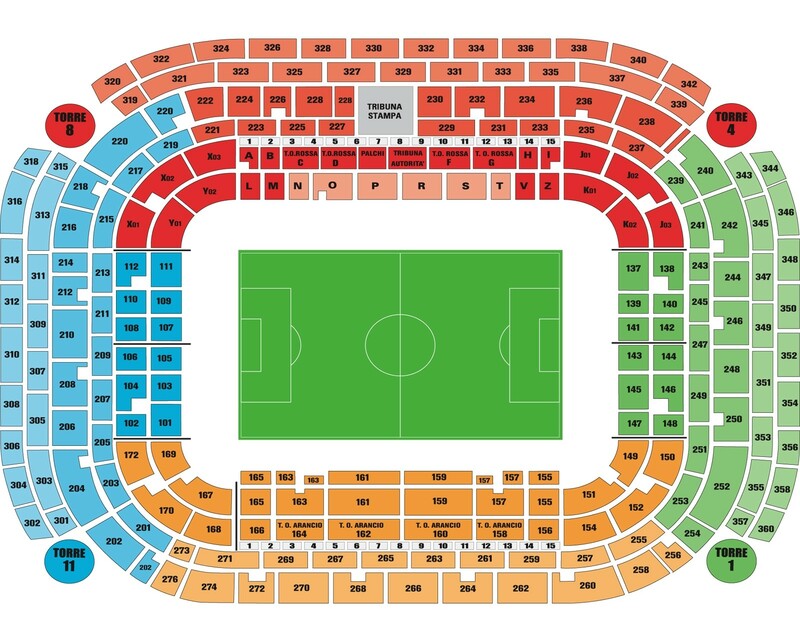 Tickets Higher half, in Blue or Green section.